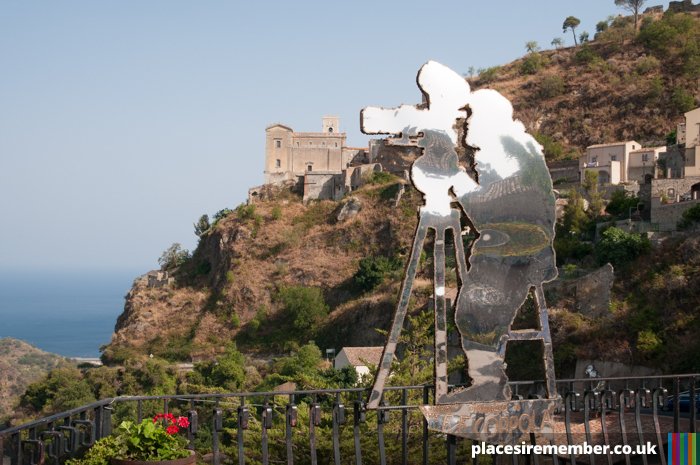 With my desire to visit Sicily dating back to the first time I watched The Godfather films during the late 1990’s, it was quite appropriate that I should visit two of the towns used in the film on my first trip to Italy’s largest Island. A town named Corleone does exist in the North West of Sicily, but it was on the East coast of the island where Francis Ford Coppola chose the locations for the majority of the Sicilian-based scenes in the movie – one of which was the small town of Savoca. As a result, Savoca receives many tourists, mostly through organised coach tours or privately-arranged guides. 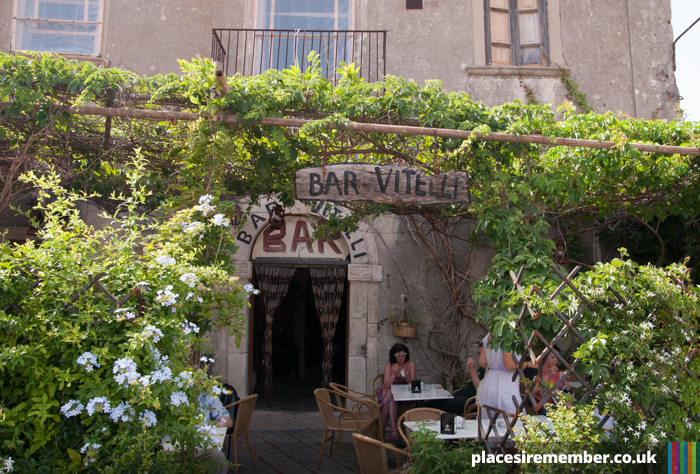 The two most recognizable areas from the film are the church and path that leads up to it from the town, and Bar Vitelli, where the young Michael Corleone met his wife whilst in exile from America. Both are unchanged, with the bar still serving its famous lemon granitas. In fact, the only thing about Savoca that looks as though it might have changed since the 1970’s is the addition of a silver plated homage to Francis Ford-Coppola. A visit to Savoca need not be about only The Godfather, and can be enjoyed equally by visitors who haven’t watched a single part of the trilogy. 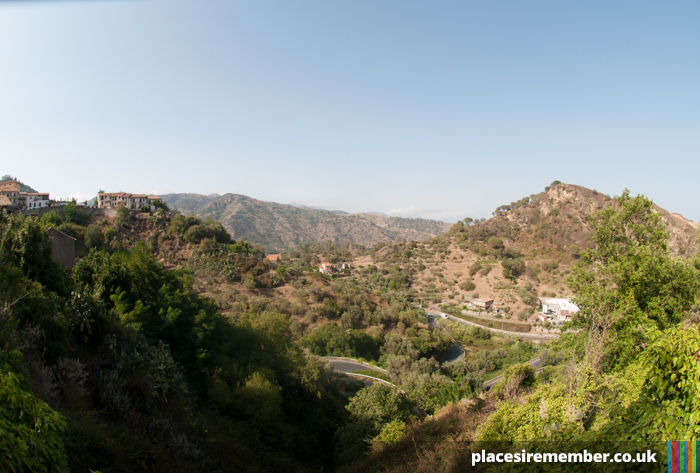 Access to the town involves travelling high into the Sicilian hills on a single, twisting road which acts as the main route from the road connecting major towns and cities along Island’s east coast. But once there, not only is the town itself a great way to experience an authentic side to Sicily, far removed from the larger and more touristy coastal towns situated nearly, but the stunning panoramic views over the Sicilian countryside are almost worth the journey alone. Savoca is a situated between Taormina and Messina. 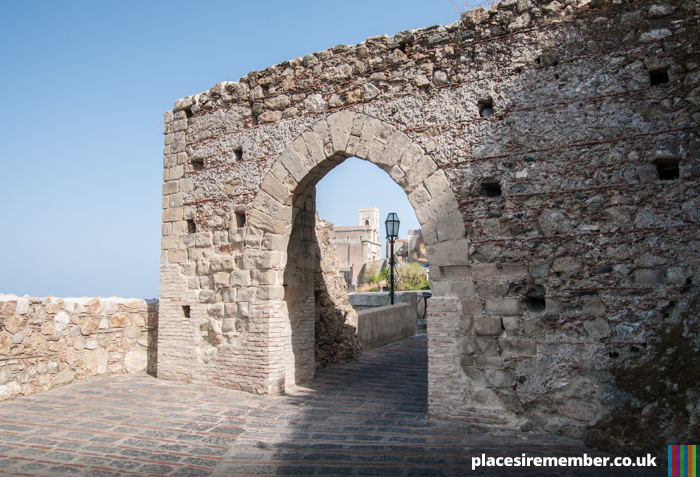 Organized coach tours are operated by a number of companies based in Taormina, costing approximately 15 euros per person and typically involving a half day excursion combining Savoca and nearby Forza d’Agro.